Crew carrying X-37C conceptual study (Credits: AIAA/Grantz/Boeing). As already announced by the Space Safety Magazine, Boeing is studying an X-37B derivative for cargo and crew transfer to and from the ISS. Arthur Grantz, chief engineer, Experimental Systems Group at Boeing Space and Intelligence Systems in Seal Beach, California, unveiled the plan at Space 2011, a conference organized by the American Institute of Aeronautics and Astronautics (AIAA). The X-37B is an unmanned military space plane operated by the U.S. Air Force Rapid Capabilities Office. It completed its first mission in 2010. Launched on top of an Atlas 5 on April 22, 2010, the vehicle spent 244 days in orbit, and then performed a reentry and an autonomous landing at Vandenberg Air Force Base in California, without requiring ground intervention. According to Granz, the flight, whose payload is classified, was successful in demonstrating the validity of the system: “We validated all the autonomous guidance, navigation and control, aerodynamics and aero-heating and the thermal protection system,” he said, “From a test vehicle standpoint, the 244 days is the longest duration on orbit for a reusable spacecraft.” A second X-37B, launched on March 5, 2011, is currently in orbit, while the first one is preparing for the next mission. According to Granz, the vehicle turnaround required less time than anticipated. 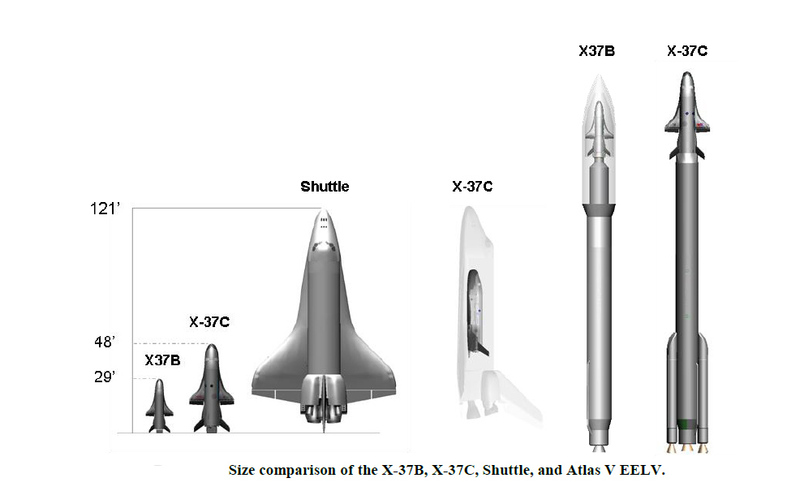 Proportional view of the X-37B, the X-37C and the Space Shuttle (Credit: AIAA/Grantz/Boeing). The future uses for the X-37B could include delivery of scientific free-flying satellites up to geosynchronous orbit. At the end of the experiment, the satellite would lower its orbit to rendezvous with the X-37B, which would retrieve the experiments and bring them back to Earth for inspection and destructive analysis. Given its flight profile, the X-37B would allow a soft 1.5-g class return of sensitive cargo from the ISS, like biological samples or material science crystals that are not supported by high acceleration capsules like the Soyuz or the future SpaceX Dragon. 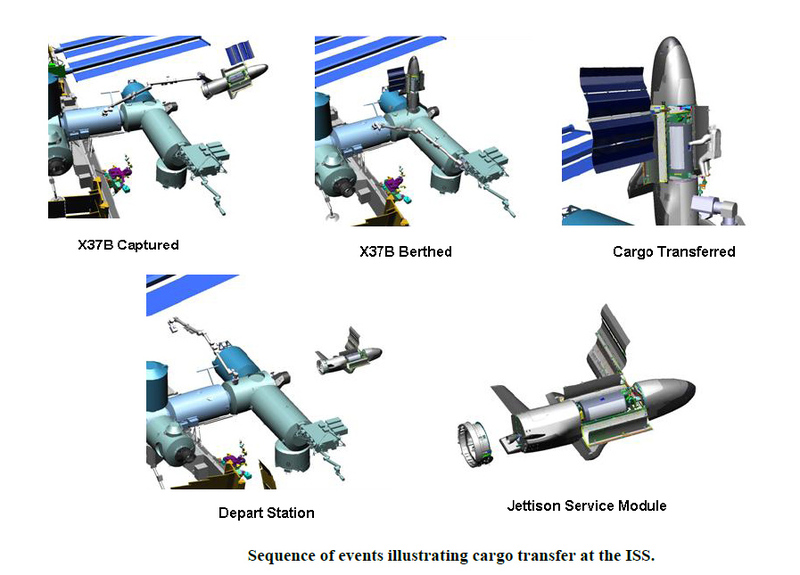 ISS rendezvous and berthing of a cargo carrying X-37B with the ISS (Credit: AIAA/Grantz/Boeing). A scaled up version of the vehicle, the X-37C, would be able to carry crew and larger payloads, both pressurized and unpressurized. Launched on top of an Atlas Evolved Expendable Launch Vehicle, the crew carrying version of the X-37C would carry a pressurized compartment in the payload bay of the spacecraft, equipped with a hatch to provide crew ingress and egress. 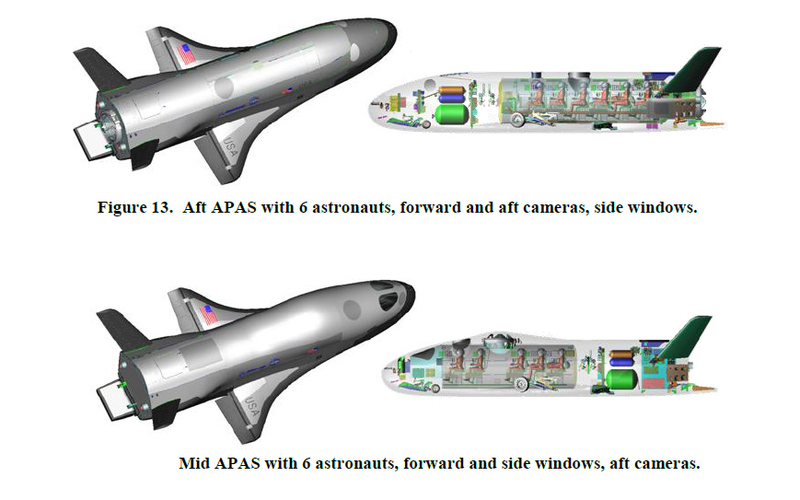 A hatch in the main body would be used to provide entry to the space plane on the ground, according to Grantz’s paper. The spacecraft would be capable of fully automated rendezvous, docking, deorbiting and re-entering, but it would also support manual control. Space Force One Still not ready. “ash”. 2004BL86 is the reason for its existence. Wish they would build an X-37 D which could hold 30 people and ride on top of a reusable Falcon Heavy. Here we have the latest news within the immigration benefit world, handled by U.S. Citizenship and Immigration Services (USCIS). Both news media and general public can find important information about updates, alerts and events that impact legal immigration. We also provide resources specifically for the news media. For outdated material and content older than five years see our Archive News section.